Published in the US as " Vegetarian India" (2015). 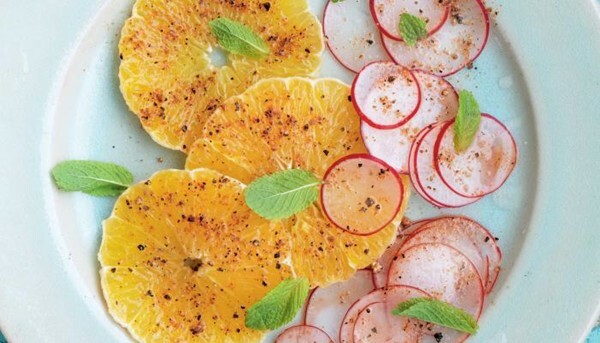 Brilliant recipe, that will be a repeat in my house. The only thing I would change is to add salt to the chickpea flour/spice mixture, and then more salt when the okra slivers come out of the fryer. Didn't thrill me. This recipe somehow lacked a certain depth of flavor. It wasn't bad, but it wasn't great. Rather bland. I think this would be better if the onions were cooked longer, until they start to brown, rather than just soften. This would be more like 20 minutes instead of the 5 minutes specified in the recipe. Also, like every single recipe in this book I've tried, it needed more salt. Yet another recipe that was too bland from this book. It's becoming a theme. There was no need to mash the dal with a potato masher - after 45 minutes, it was already cooked to mush. The picture of the spices being fried on the previous page clearly shows turmeric in the oil, but the only turmeric in the recipe was added to the simmering dal, not to the oil. Annoying. The dish wasn't bad, but it wasn't particularly exciting either. Very simple. Just yoghurt, ground red chiles, ground cumin, and salt. I doubled the salt, which made it about right. This was a nice condiment to serve with the other dishes I made from the book, and added a lot to their flavor. pg 120 - I used much less oil (I used Coconut) to fry the spices and veggies for this delicious Dal. I also cooked my lentils in my InstantPot pressure cooker for 6 mins with a 10 min natural release, I'd soaked the dal for an hour prior to cooking and then tipped the lentils into the pan that I'd cooked the veggies in and then let it all bubble together for about 30 mins before adding the spinach. Good flavor but needs some tweaks with the liquid component. I used chicken stock instead of water since I had it, but 3/4 cup was waaaay too much and I ended up simmering with the cover off for quite a while longer to try to reduce everything so it wouldn't be so watery. Next time I would only add 1/4 cup liquid. Coconut milk would also be great instead of water/stock! Madhur Jaffrey is the queen of curries and the world authority on Indian food, having published over 15 cookbooks on the subject over the last 40 years. 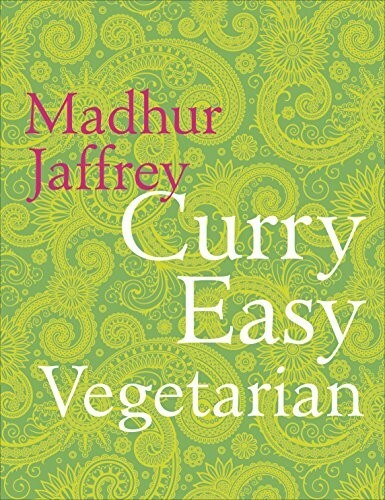 Following on from her bestselling cookbook, Curry Easy, Madhur is back with a beautiful new cookbook, Curry Easy Vegetarian. Offering over 200 brand new and simply delicious recipes, Madhur cooks a tantalising, mouth-watering array of meat-free dishes and proves, yet again, how easy it is to cook authentic Indian food at home.